PTS | P.H.R. Ken Micronesia, Inc.
P.H.R. Technical Services, Inc., a subsidiary of P.H.R. Ken Micronesia, Inc., was established in April 2012 as a technical maintenance, service and repair corporation. P. H. R. Technical Services, Inc. (PTS) is committed to the maintenance, service and repair of the engineering plants and facilities of the 5 P.H.R. 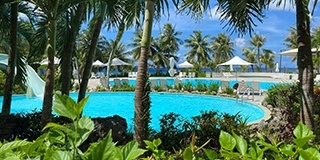 Ken Micronesia, Inc. (Ken Corp) owned hotels on Guam. PTS is committed to developing a highly skilled and knowledgeable team of professional technicians to provide an unprecedented level of maintenance, service and repairs for its customers. PTS is also committed to operational, control and technical advancements, to improve the reliability of equipment and systems, increase efficiencies, reduce operating costs and reduce energy consumption, while improving customer service and satisfaction. PTS’s vision for the future is to offer and provide these services to non-Ken Corp properties and facilities on Guam.